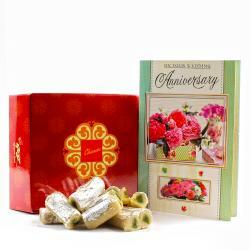 Product Consists : Super delicious kaju pista roll (Weight : 500 gms) along with Best Wishes greeting card. 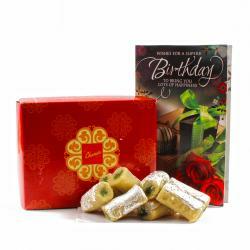 Kaju Pista Roll with cashew nut & pistachio flavored Indian delicacy.The Kaju Pista Roll is an attractive looking sweet made by rolling This dessert is perfect for all festivals.Sweets are an integral part of every Indian festival and you cannot miss out on them.Good luck and one greeting card for written wishes are the constituent of this hamper.Everyone loves to receive a cardand sweets either through the post or by hand. 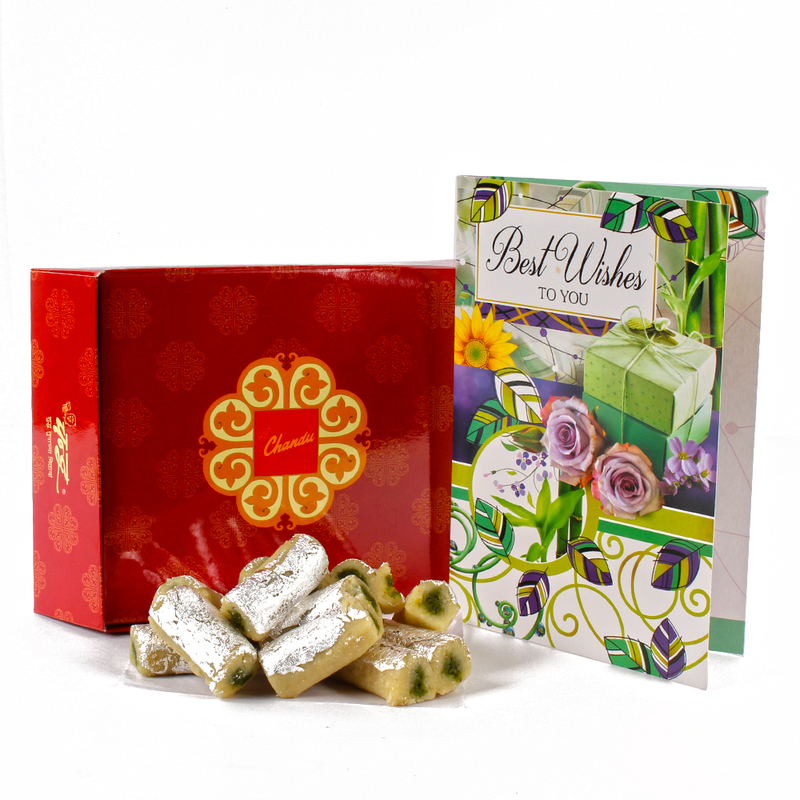 In this crazy fast, faster, fastest instant world that we all live its worth reflecting that the greeting card is still considered by most as the truly effective way of telling someone you. 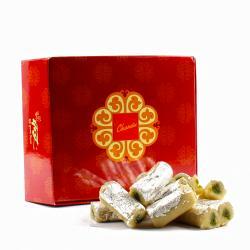 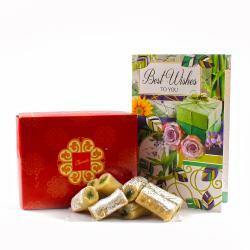 Product Consists : Box of Chandu Halwai Super delicious kaju pista roll (Weight : 500 gms) along with Best Wishes greeting card.